In Christian teaching we often mix up the idea of imperatives and indicatives—commands and truths. Some of us think that imperatives threaten our freedom. Others love these commands, but for the wrong reasons, thinking that if we keep the commands we can somehow present ourselves as righteous people. Both of these approaches distract from the gospel of grace. Jesus always tells us who we are before He ever tells us what to do, because Jesus knows two things: first, he’s asking the impossible. And second, he specializes in making the impossible possible. The truths of the gospel support and sustain the commands of the gospel. In other words, we’re never asked to do something without being told something true about who we are. And if we don’t first understand the truth about who we are, we will be crushed by the weight of the commands. “Flee from sexual immorality” — because your body is a temple of the Holy Spirit. Christ is in you. That’s who you are, so flee from sexual immorality (1 Corinthians 6:18-19). “Do nothing from selfish ambition” —because the mind of Christ, the humble servant is in you. That’s who you are, so act in humility (Philippians 2:1-4). “Forgive others their trespasses” —because you have been forgiven. The death of Jesus has washed away every sin. That’s who you are, so forgive (Matthew 6:12-15). “You shall not murder, steal, bear false witness, etc,” —because “I am the Lord your God, who brought you out of the land of Egypt.” That is identity, ladies and gentlemen. God is saying: “You were slaves, but now you’re free, and because of that, I’m going to remind you how to live into the abundance of your identity” (Exodus 20:2). Biblical imperatives are based on indicatives. Find a command and somewhere near it you’ll find a truth about who you are.When I was growing up, no one showed me how Scripture builds every command on the foundation of our identity in Christ. And even though the moral instruction I received was sound advice, I didn’t want a list of dos and don’ts. What I desperately wanted was for someone to tell me I was loved, despite all my brokenness. I wanted to be made new. I wanted to be known. Thankfully, Jesus chased me down after years of craving the love only He can offer—and that’s when I learned that transformation doesn’t begin with getting my act together; it begins with meeting Jesus. When we do that, we are given a new identity based on His righteousness. And that is how we become who we are—not by our own effort or achievement but by virtue of being hidden in Christ. If we want to bring real life transformation into the hearts of the Church’s youth, we must first speak to who they are and then address how they should live. Every teenager yearns to have the question “Who am I and what am I doing here?” answered. The gospel itself is what gives them this identity. The Good News—that Jesus became a human, left the perfection of Heaven to come to our broken world, died in our place to cancel the debt that stood against us, and came back to life as He had promised—provides a new identity for the Christian. If we don’t talk to our students about how their identity shapes their interactions with the world, somebody (or something else) will. A young guy or gal must know that how they identify themselves will shape how they navigate life. It’s not our job to change hearts, but it is our job to teach what will. So we must never stop teaching the gospel. Jesus looks at you and says: You are worth dying for. Your sin pales in comparison to His grace. God loves you just as much in your worship as He does in your failure. 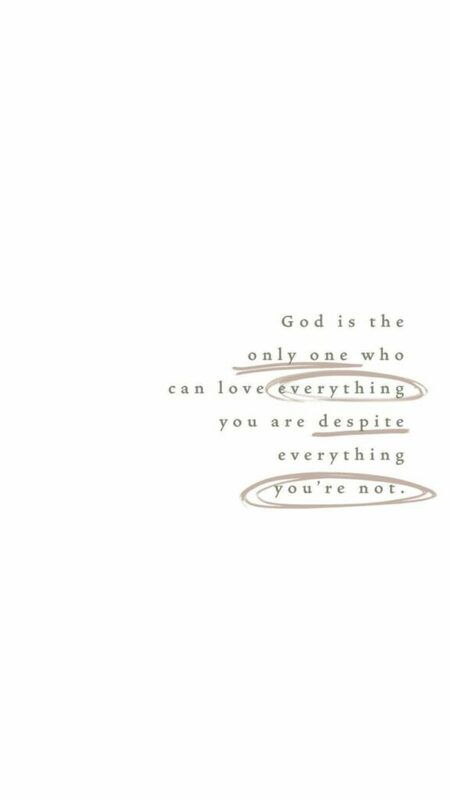 He is the only one who can love everything you are despite everything you are not. The identity that we’ve been given through Christ empowers us to live an abundant life. The identity-shaping indicatives of Scripture are the only way that our students will ever be able to obey the imperatives that we know are best for their hearts. My prayer is that each of our students would receive this message: that they are loved, seen, accepted, known, and most importantly, that Jesus died for them despite everything that they are not.